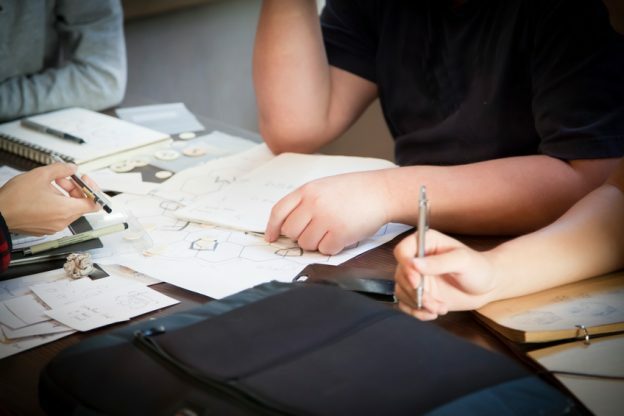 If you’re thinking of studying design in school, you’ll want to do everything you can to maximize your chances of gaining a place in a good course. If you’re aiming high, you may want to do everything you can to secure a seat at one of these prestigious institutions and elevate your career prospects. Most courses are non-specific in what subjects prospective pupils study in high school, though some may ask for a top grade in an art or design related subject, which could include art, design and technology, graphic communication, textile design or photography. The ability to provide an impressive portfolio of design and artwork alongside your application, however, is imperative. Some courses expect students to have completed a foundation year at a university or college first too. This is a great way to build your portfolio, give you an introduction to the world of design and prepare you for the future. These courses last one year and allow you to try out different areas of art and design before specializing in a particular discipline. The majority of your “contact” time on a design degree will be spent learning different technical skills. Depending on the area of design you choose to study, this could range from practicing technical drawing to learning to use different CAD development software. The theory you’ll learn will also vary depending on the nature of your course, but you’re likely to learn about historical and contemporary practices in your field, whether that’s learning about the development of printing methods or noteworthy practitioners in the design world. Key parts of undergraduate programs across all disciplines include 3D materials and technologies, advanced computer-aided design techniques and manufacturing, design communication theory, image production and manipulation as well as key aspects of typography and graphic layout. Even if two universities offer the same degree, the modules, course layout and teaching methods will likely vary considerably so do your homework and find out which will suit YOU the best. Also, check to see if they offer or encourage industry placements, as these are a fantastic way to get used to working in your industry before graduation. Placements can do wonders for your CV and you may even land a job at the end of an internship. At the very least, you’ll be making some very relevant industry connections. What Teaching Methods Are Used in Design Courses? Design courses tend to focus on honing the practical skills required to work effectively in your chosen sector, meaning seminars are more common than lectures. However, lectures will still play an important part in your university experience and course makeup. There just won’t be as many as you’d find on a more academic degree course, such as a science or humanities subject. As with all degree-level subjects, the majority of your learning is done independently so ensure you’re prepared to self-motivate and get organized. Contact hours via seminars and lectures will vary between design degrees but you can expect around six to 10 per week. There will be tutorials where you’ll meet one-on-one with lecturers to discuss how you’re finding the course and talk through any challenges. You’ll have the chance to ask questions and seek advice, too. You’ll then have 24-40 hours of independent study each week. According to the Destinations of Leavers from Higher Education survey, design graduates had a lower rate of unemployment than graduates of physics, computer science, mechanical engineering, sociology and media. What’s more, around 80 percent of design graduates went into a full-time or part-time job and, of that number, 42 percent went into work in either an art, design or a media profession. Compared with other degree subjects, this is a particularly high percentage of graduates going into work that specifically relates to their studies. Attending university and completing a degree can seem like a daunting task, so simply take things one step at a time. For now, make sure you’re studying the right subjects at school. Perhaps try and get some work experience too. Contact local companies where it might be easier to get some hands on junior design work. If you can get into a prestigious pre-university internship – great, but it may be better to get a few weeks with a couple of smaller companies in your area under your belt. It will be a quicker process and a great stepping stone. Start your portfolio now! There really is no time like the present and if it’s a task you keep putting off, aim to add 1-2 new sections per week and before you know it you’ll have a shiny, impressive body of work. It can include school projects, work from a foundation course, work experience assignments or simply design endeavours you’ve initiated yourself. And finally, research, research, research! Look for a degree course that suits you. Jessamy was born and raised in the Channel Islands where she fostered a passion for writing at a young age. An insatiable explorer, she has lived in Guernsey, Malawi, the UK and New Zealand – fulfilling a variety of editorial and content creation roles. After completing several coveted internships in the UK, Jessamy hit the ground running as a news reporter for a top national daily newspaper. She was then offered a job in government communications in New Zealand. 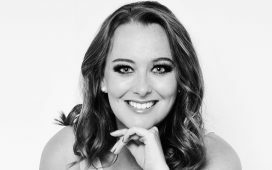 Her entrepreneurial spirit encouraged her to start her own content business aged just 26, meaning she now collaborates with numerous international clients. In any role, her favourite job is working with interesting people to tell great stories to as large an audience as possible. She holds a BA in English Literature (University of Warwick) and an MA in International Journalism (Brunel University). In her spare time, you’ll find her travelling the world, hiking with her dog, listening to country music or sipping on cosmopolitans.